Cash awards are handed out every year to the top three in each of the three categories in the Youth Journalism Contest, sponsored by the Louisiana members of Safari Club International and the Louisiana Outdoor Writers Association. There are two age-group writing categories, ages 7-13 in Junior Essay and ages 14-18 in Senior Essay and a photography contest for ages 7-18. Essays should be 300-1,000 words, typed, double-spaced, original, unpublished writings involving a personal outdoors experience. Submitted photos must be original, unpublished black-and-white or color, 4×6, 5×7 or 8×10 inches, and center-mounted on an 8×10 board. Only one essay and photograph will be accepted for each youngster. Essays can be emailed: jmacaluso@theadvocate.com, and photos can be mailed to Joe Macaluso, Advocate Outdoors, P.O. Box 588, Baton Rouge, LA 70821. ATTN: LOWA. Submissions must have name, age, school, home address, home telephone number and, where possible, email address attached at the top of the essay or photo. Young fishers: another LOWA contest is for young anglers. One boy and one girl will receive a Louisiana lifetime fishing license if their writing and companion photo are judged tops in the Louisiana Youth Angler of the Year contest. LOWA president Wendy Billiot chairs the contest and said youngsters need to write an essay about a memorable Louisiana fishing trip. “You may include where you went, who you were with, what kind of bait you used, what kind of fishing you were doing, and what you learned,” she said, and send along a photo of the adventure. “Essays will be judged for the heart of the story, not just on the writing style or grammar and spelling,” Billiot said, adding youngsters must be in grades 9-12 and a Louisiana resident. Both the Youth Journalism and Youth Anglers have June 30 deadlines, but don’t wait until summer vacation. Work on these contests while you have a couple of days off this week or on a school weekend. Winners will be contacted and awards will be announced during the LOWA’s annual conference and awards banquet in August. Wildlife and Fisheries’ Wildlife Division has set the final public hearing on dates, bag limits and other rules and regulations for the 2019-2020 hunting seasons at 10 a.m. Monday at the Joe Herring Room at LDWF headquarters on Quail Drive in Baton Rouge. The full notice of the proposed seasons is available on the LDWF’s website: wlf.louisiana.gov/action-items. Most recreational offshore fishermen know gray triggerfish season closed May 11 across the Gulf — Louisiana waters, too — and federal fisheries biologists will undertake a stock assessment of the species this year. If you want to add your two cents, go to the GMFMC’s website: gulfcouncil.org, then find the topic “Something’s Fishy with Gray Triggerfish” questionnaire. The deadline for submitting this form is May 9. Niagara Falls and its surrounding parks see millions of visitors a year, and all that foot traffic results in a lot of trash — 832 metric tons each year from the Canadian areas alone. Still, park sanitation workers were surprised to find a piano, broken into pieces, among the items left in the garbage one day. Although odd things occasionally surface at tourist hot spots, the bulk of the waste in the garbage cans comes from much more common, repeat offenders. Here, in time for Earth Day, are some items that major tourist destinations often find tossed out by travelers — and some ways that you can avoid adding to all that rubbish along your own journey. Travelers often use disposable items as conveniences that they can simply toss afterward. But when a site hosts millions of visitors and hauls out hundreds of tons of trash a year, as many popular tourist destinations do, all those disposable items add up fast in ways that are quickly apparent on the ground. Although that smashed piano caught Mr. Barnhart’s attention, he cited disposable plastic items — such as the brightly colored ponchos that visitors wear near the falls (which the park workers collect after the tours and bale together to recycle) and single-use drink bottles — as the kinds of items he and his fellow park workers see much more often among the waste removed from the parks surrounding Niagara Falls. Angie Renner, the environmental integration director for Disney Parks, also pointed to plastic bags, cups, bottles and straws as some of the more common items that end up in the receptacles at Walt Disney World and the company’s other theme parks. And Jamie Richards, a park ranger and spokeswoman for Yosemite National Park, noted that plastic water bottles and cardboard coffee cups (including their plastic lids) frequently show up in the trash. The most effective way to reduce the number of disposable items in the trash is often to just stop purchasing so many of them in the first place. Mr. Barnhart also cited the installation of water-filling stations for reusable water bottles in Niagara Falls’s parks as a way they have encouraged the reduction of trash. Sophie Grange, a spokeswoman for the Louvre, listed maps and entrance tickets as some of the most common items the museum sees in the 1,200 tons of waste it carts out a year. The museum does recycle paper, but for visitors who are carrying a smartphone, paperless alternatives can be an even better option. “The best way to reduce waste is to not produce any,” Ms. Grange said in an email. Instead she suggests that visitors who want to reduce their trash footprint download e-tickets and use the museum’s app or refer to posted signs for guidance on directions. In addition to providing options for visitors to skip the printouts, she said the museum also tries to find ways to keep its own printed materials out of the landfill too. For instance, it sends promotional banners for temporary exhibits to a company that turns them into bags; the banners even go to archaeological schools for use as coverings to protect dig sites. Although tickets and maps for many tourist destinations are offered electronically, some travelers prefer to keep their tech to a minimum or may be traveling in areas where dicey connections and power failures are common. If paperless travel isn’t practical for you, the best thing to do is to have a place ready to hold your papers so that you’re not leaving a trail of them behind as you move. You can use a travel journal or notebook (Wirecutter recommends the Traveler’s Notebook), customized with an inset folder, to keep loose papers together until you can sort through them at home. Disposable cups, bags, and utensils may be the first kinds of items that spring to mind when you’re thinking about how to reduce waste. But the packaging your gear and supplies come in can also be just as big of a problem. And when you’re on the road, you may find that places to dispose of that packaging are much more limited than they are at home. In Yosemite National Park, Ms. Richards often sees this problem in action, especially when campers bring new gear directly from the store into the park without unpacking it. You can also cut down on the amount of packaging you’re carrying by planning ahead and bringing a reusable packable bag to carry groceries or other supplies instead of picking up a disposable plastic or paper sack when you do your shopping. In fact, according to the United Nations Environment Programme, more than 60 countries have already put restrictions on single-use plastic bags, so carrying your own not only reduces your trash footprint but also means you’ll be better prepared in locations where bags aren’t available. Ria Misra is an editor at Wirecutter, a New York Times company that reviews and recommends products. More at Wirecutter.com. The first — cash back — is not the best strategy, Cohen said. Chase Ultimate Rewards points, for example, are worth $0.01 per point, or 100,000 points for $1,000 in cash. But the points are worth more if you use them to book trips through Chase or American Express’ online travel portals, Cohen said. Those Chase Ultimate Rewards points are worth $0.015 per point when redeemed this way. Opportunities to redeem points at flat rates for award travel are dwindling. In early April, Wyndham Rewards switched to an award category system, much like Marriott Bonvoy and Hilton Honors, getting rid of its flat 15,000-point-per-night price for a free stay. Free stays at Wyndham properties now vary from 7,500 to 30,000 points per night, meaning some hotels may require fewer or more points than before to redeem a free night. The new awards categories went live as several new benefits for Wyndham Rewards members were unveiled, including the addition of more than 900 La Quinta hotels to the catalog, new benefits for military members and more ways to earn points through online shopping and gas purchases. Wyndham now has three award categories that determine how many points you need to redeem a free night. Almost 3,000 hotels have moved down to Category 1, meaning it takes 7,500 points to get a free night at a Category 1 designated properties. Expect to see brands like Days Inn and Super 8 among these properties. Meanwhile, almost 200 hotels have moved up to Category 3, which requires double the previous number of points needed for a stay. For some hotels, including Caesars Palace and Planet Hollywood Resort and Casino in Las Vegas, you will have to spend 30,000 points per night. This is also the case with several La Quinta by Wyndham locations. The vast majority of properties will not require any more or fewer points than before. You can still score free nights at 15,000 points at Wyndham Grand hotel international locations and most of the higher-end Wyndham Vacation Resorts in the U.S. Hot destinations like Hawaii and Florida still have a lot of options at the Category 2 level, as well. To help members earn award stays faster, Wyndham Rewards has introduced a new way to pay for award stays with fewer points if you’re willing to throw in some cash. The go fast redemption option follows the same categories as the point-based go free redemption option. The cash contribution varies based on the hotel, but it can range from about $35 to more than $200. When you book a go fast award, the cash portion will still be eligible to earn 10 points per dollar (excluding taxes, incidentals and other fees). Wyndham acquired La Quinta Inns & Suites in 2018, and now those hotels are available for loyalty members to book with Wyndham Rewards points. There are more than 900 hotels added to the roster, including locations in cities like Miami, Seattle and Toronto. Under the latest changes, military members now earn automatic Gold level membership and 1,000 bonus points on their first qualifying night. Gold level membership comes with perks like late checkout and a 10% point bonus on qualifying stays. All of these perks are in addition to some benefits already available to military members, whether or not they are Wyndham Rewards members. Service members have access to existing discounts of 12% or more off the best available rate at participating Wyndham Rewards hotels. Wyndham Rewards also announced new partnerships that allow members to earn points outside of hotel purchases. Loyalty program members can now earn points through the Wyndham Rewards online shopping portal at retailers like Target, Apple and Home Depot. Gas purchases and select in-store purchases at Marathon gas stations can also help Wyndham Rewards members earn extra points. In the coming weeks, members will be able to earn and redeem points with Viator tours and experiences and DoorDash food delivery. The soaring cost of medical care in the United States has created an emerging cottage industry for visitors insurance. Whether you’re traveling to America — or to any country with high healthcare costs — you might need this relatively new type of coverage. The average American spends $10,348 per year on healthcare, according to the latest numbers from the U.S. Department of Health & Human Services. That’s $3.3 trillion a year, or about 18% of the Gross Domestic Product. Only Switzerland and Norway come close to that kind of spending. Understandably, visitors to the United States are shocked when they visit a doctor or hospital. A visit to the emergency room could push them into bankruptcy. But the term “visitors insurance” can also apply more generally to anyone traveling abroad. So if you’re headed to Europe this summer, you might be asking yourself what visitors insurance is and whether you need it. And if you do, where should you buy your coverage? “Visitors insurance typically includes travel medical plans which focus on protection for medical expenses that could occur while traveling in the U.S, due to the fact that medical care in the U.S. is often expensive compared to other countries throughout the world,” explains Justin Tysdal, CEO of Seven Corners, a travel insurance site that sells visitors insurance. Visitors coverage comes in two flavors. The first is scheduled benefit plan, which typically costs less up front but requires that you absorb more of the medical expense cost later if you need to claim. A scheduled benefit plan places a cap on for each service you may need. “For example, if you were charged $100 for a physician visit, and the plan contained a $65 limit per visit, then the most the plan would pay is $65, and you would be responsible for the remaining $35 if you had already met your deductible and paid your coinsurance if applicable,” explains Tysdal. The second type of visitors coverage is the comprehensive plan, which doesn’t contain fixed payment limits for each type of medical treatment. Instead, you select a medical maximum amount of coverage, and any covered expenses are paid out of that amount after you have paid your deductible and any coinsurance. Many comprehensive plans have a provider network that travelers can use to locate doctors and medical facilities close to their location. That’s another reason comprehensive plans are becoming more popular. By the way, if you’re visiting the U.S. from abroad and considering a comprehensive plan, you need to select the option for travel including the United States when you request a quote. Pricing is typically a little higher for coverage in the U.S. than outside the country. You don’t need visitors insurance if you live in the United States and are traveling domestically. Do you need visitors insurance? If you think you don’t need visitors insurance, think again. As I noted earlier, the term “visitors insurance” doesn’t just apply to international visitors coming to America. It’s for anyone making an international trip. In other words, if you’re headed somewhere out of the country for vacation, maybe you should consider visitors insurance. “Visitors insurance is always recommended for international travel,” says Shrivastava of VisitorsCoverage.com. Indeed, some countries such as Cuba and the Schengen region — the 26 European states that have officially abolished all passport and all other types of border control at their borders — require certain citizens to have a visitors insurance policy to gain entry. So how do you know if you need visitors insurance? Just in case. When you are traveling to another country, there are always uncertainties. You’ll want to be protected against any unforeseen medical emergencies that may occur during your travels. If your trip needs to be insured. Just as every traveler is unique, so is every international trip. It is important to research your destination before you travel and take into account any risks that may be associated with the location or your planned activities while you are abroad. When you’re visiting a country where medical costs are high. America has some of the highest medical costs in the world, so visitors to the U.S. would want to make sure their policy included a high policy maximum. VisitorsCoverage.com recommends coverage of as much as $2 million or more. But if you are traveling to a country where medical costs aren’t as high, you likely won’t need as high a policy maximum. U.S. citizens on Medicare. With very few exceptions, Medicare provides zero coverage outside the U.S.
Run your risk assessment. For example, if you’re traveling to Africa for a safari, there are health risks such as malaria. Safaris often take place in remote areas, so you may need coverage for medical evacuation. If you’re participating in a high-risk activity, you may need extra coverage in case you’re injured. That can all add up to the need for visitors coverage. Directly from a specialist. You can purchase a policy directly from companies such as VisitorsCoverage, which specializes in selling policies to U.S. immigrants and visitors. Other visitors insurance companies include <a href="https://www.gig.com%3C/a" target="_self" data-ga-track="InternalLink://www.gig.comG1G, INF Visitor Care, and InsuBuy. By shopping on an insurance site. Travel insurance sites such as Seven Corners and Squaremouth sell a variety of policies, both for visitors to the U.S. and for Americans going overseas. Through your travel agent. A trusted travel advisor is always a good person to consult before a trip. Often agents know the best policies and can advise you on what kinds of coverage you need — and don’t need. To find a good agent, check out the agent finder on the American Society of Travel Advisors’ site. But do you really need visitors coverage? My consumer advocacy organization, which specializes in helping travelers, receives hundreds of requests a week from travelers, many of whom fell ill while they were abroad. In about 90 percent of those cases, a reliable travel insurance policy could have helped — and may, as a matter of fact, have eliminated the problem entirely. Travel insurance and visitors coverage is far from perfect. Not every claim is honored by an insurance company. Also, many policies exclude pre-existing medical conditions, pregnancy, childbirth, and preventive care, among other things. You have to read all the fine print in your policy to make sure you’re covered. Venmo is close to selecting Synchrony Financial as its credit-card issuer and is hoping to announce the card this year, a person familiar with the plans says. Venmo’s latest gambit to profit off its massive but still-not-lucrative user base involves a decidedly old-school idea: credit cards. as its credit-card issuer and is hoping to announce the card this year, one of the people said. Rewards and other potential features of the planned card are still being discussed, the people said. Venmo, which offers a mobile money-transfer app, is the latest technology company to explore entering the credit-card business as a way to boost revenue and consumer engagement. Companies such as PayPal, once considered a competitor to card networks and banks, are increasingly joining with them instead. Venmo is one of the relatively few financial apps to earn widespread adoption—to the point where its brand name is used as a verb. More than 27 million users are expected to make a Venmo payment from their smartphones in 2019, according to research firm eMarketer. Heading into 2019, those efforts were on pace to generate annual revenue exceeding $200 million, Mr. Schulman told analysts on a January conference call. But Venmo isn’t expected to break even for at least several quarters, Chief Financial Officer John Rainey said on the same call. A Venmo credit card could help push Venmo into the black and help achieve a broader PayPal goal of increasing its market share at offline retailers. Venmo is entering a crowded market as more technology companies develop credit cards to incentivize spending. to roll out a new line of credit cards later this year that would sync with users’ iPhones. credit cards for small businesses. Airlines and other vendors that already offer credit cards are finding themselves competing for consumers who prefer using bank-labeled, general-purpose credit cards with generous rewards. Growth in issuance of both general-purpose and co-branded credit cards in the U.S. has slowed since 2017, according to Mercator Advisory Group. With its credit card, Venmo hopes to squeeze more revenue from the many young consumers who use only its free service. Roughly one in five consumers between ages 20 and 24 surveyed by 451 Research last year said they had made a Venmo payment. The Venmo discussions are separate from deals PayPal has already negotiated with Synchrony, which has offered PayPal credit cards since 2004. Last July, Synchrony acquired $7.6 billion of PayPal Credit loan balances made to finance online purchases. Synchrony has added more digital card partners in recent years. The company—the largest U.S. store-credit-card issuer—counted Toys “R” Us as a partner until the retailer filed for bankruptcy, and lists JCPenney as one of its five largest retail-card partners. would become its new credit-card issuer. Every few months a new credit card is announced. What do you look for when shopping for a credit card? Join the conversation below. Traveling for work sound exciting and exotic, but it can also be stressful and exhausting. I have been working as a food and travel writer for well over a decade, and that means flying a few times a month. These trips are often early mornings and late nights, with each hour tightly scheduled and dozens of emails waiting to be answered when I get back to my hotel room at the end of the night. Those early morning flights and tight layovers, all while trying to get writing done while in air, can take a toll but the right tools have often made all the difference. That’s why I’m selective about what I pack in my carry-on. Here are some favorites that come in handy whether you’re traveling for work or for pleasure. Ever try to sleep on a plane for a few hours and wake up everything hurting? Those seats are just not made for comfort, but this neck pillow made of bamboo charcoal memory foam has really been helpful. Plus, since it’s made of bamboo it’ll keep you cool throughout your flight (or road trip). The removable cover is machine washable too. Ever try to go through TSA with those skinny tall boots? It’s a nightmare. 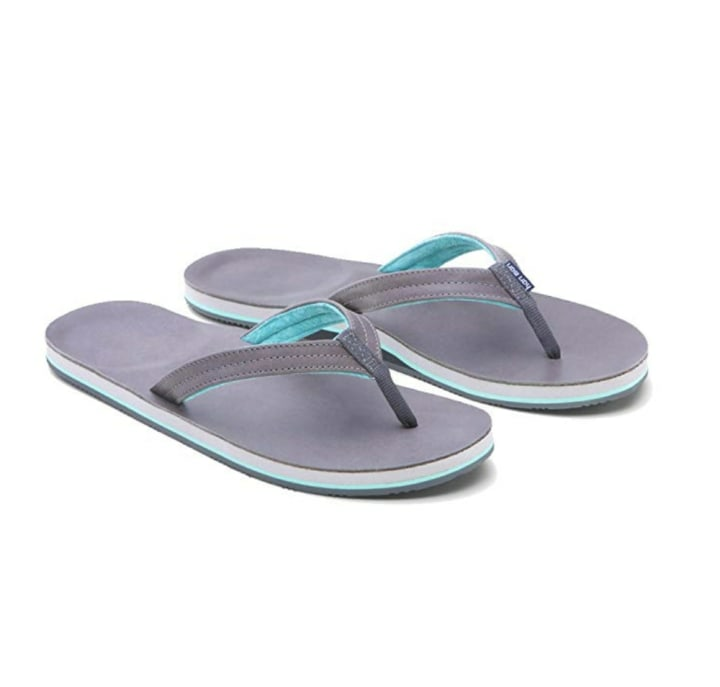 Whether just starting your journey or at the end of a long day of meetings, a comfortable pair of flip flops are the ultimate in easy relaxation. Whether avoiding airline baggage fees or just trying to travel light, an important aspect of frequent travel is learning to be a smarter packer. Packing cubes are compressible, easy to access and instantly dividable. 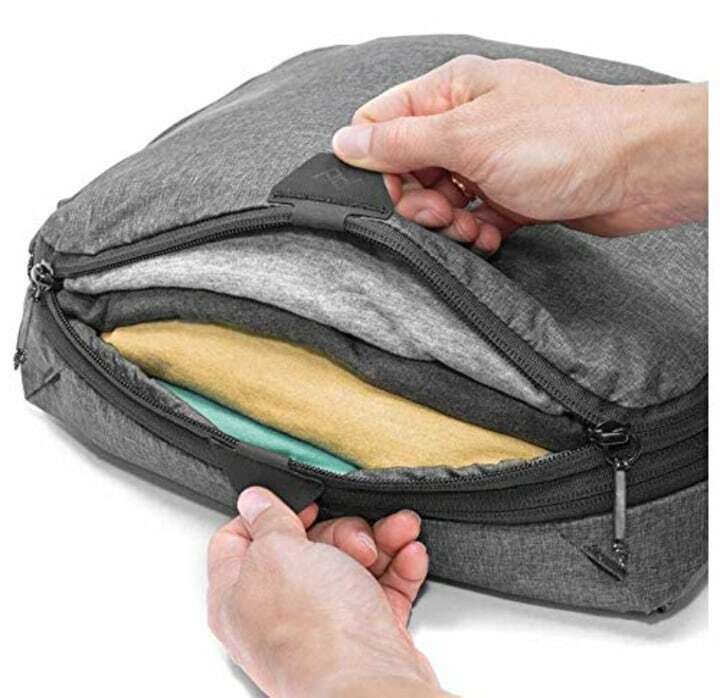 These cubes even have tear-away zippers and an internal divider to separate clean and dirty clothes, with each compartment able to expand or contract based on its contents. Buying bottles of water at the airport is expensive. Same goes for amusement parks and hotels. Taking your own bottle along that you can refill along the way will save tons of cash, and also keep you away from all that unnecessary plastic waste. 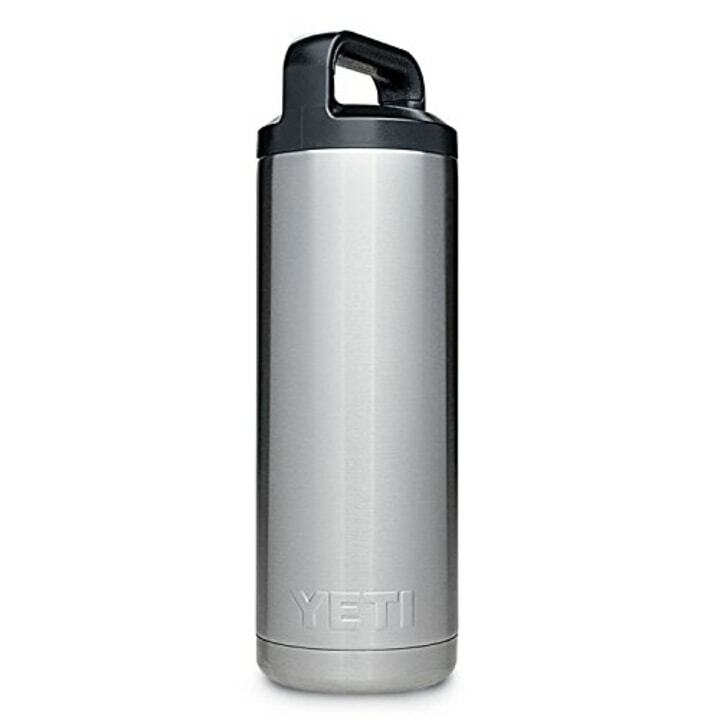 This bottle is made of double-wall vacuum insulated stainless steel and it’s built to last with a leakproof cap. It keeps cold drinks cold and hot drinks hot — meaning it’ll be great for keeping coffee hot on those long road trips, too! Air travel can be very drying, and to keep lips hydrated at all altitudes, this Donell Lip Saver restores chapped and dehydrated lips while protecting your skin against damaging free radicals. It also contains SPF 15 and Vitamin E.
Makeup cleansing wipes are essential for refreshing after a long flight or an endless day of appointments. 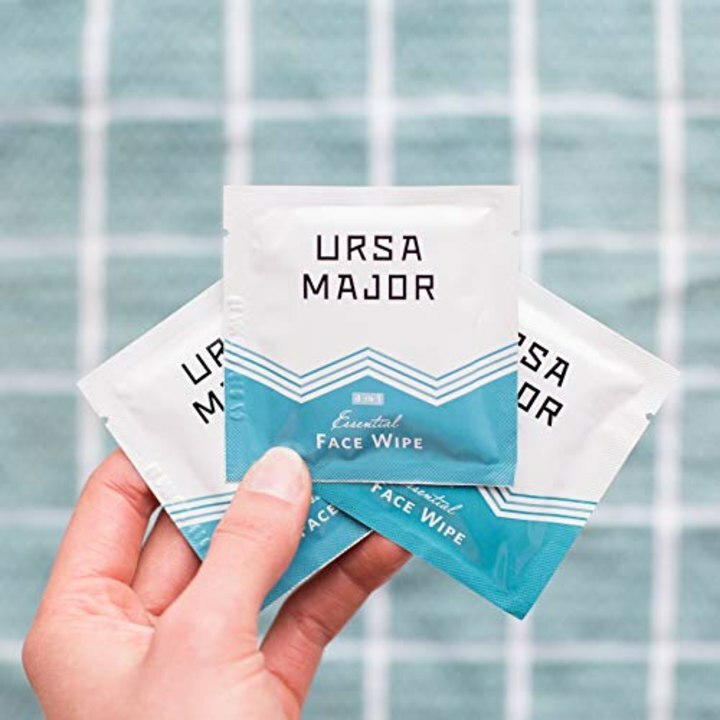 These 4-in-1 Essential Face Tonic Wipes are individually wrapped face wipes that remove excess oil and impurities without creating an imbalance in the skin’s pH level or stripping moisture. They are also great for exfoliating dead skin cells and unclogging pores (3% natural AHA/BHA complex). Traveling is very stressful, and it’s important to take the relaxation and calm from anywhere possible. This contains daily meditations, sleep stories, soothing music tracks, master classes and more to help you center yourself during the day or fall asleep at night. It’s an easy way to calm down, right from your pocket. Ear phones are not all created equal and the right shape and size can have a big impact on comfort level during wear. Decibullz makes a DIY moldable pair of earphones. Basically, it’s like molding a mouth guard — you place the earbuds in warm water and then mold them perfectly to the shape of your ear. The result: An extremely comfortable, perfect fitting, low-profile earplug that will never hurt, never fall out and provide superior noise isolation. Germs are everywhere and it’s very easy to get sick when traveling. 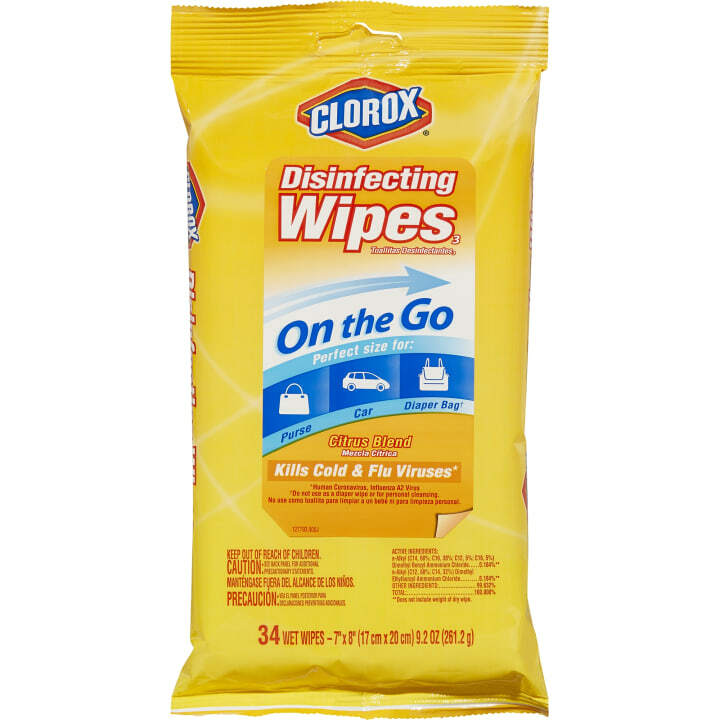 I use these wipes when I first get on a plane, in an Uber, even in hotel rooms (those remote controls are filthy!). This is especially important during flu season, which peaks between December and February (and is still likely to continue for several weeks). 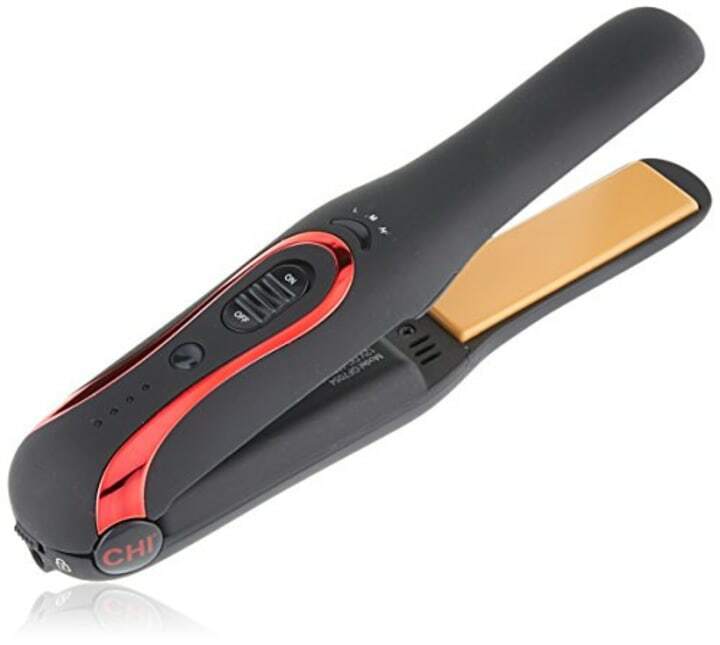 A cordless styling iron is great to travel with, or even throw in your gym bag. You can charge it just like a cell phone and do your hair literally anywhere, even in an airplane bathroom! No one wants to have to wash and dry their hair at the end of a long day, in a cramped hotel bathroom. Dry shampoo is always in my bag when I travel. It’s super helpful to freshen up a blowout via a super-absorbent formula that eliminates oils and impurities, and adds some volume for those all-important travel selfies. When travel is a part of your job, being able to work from anywhere becomes essential. But even the most diligent of us are at the mercy of a power source. 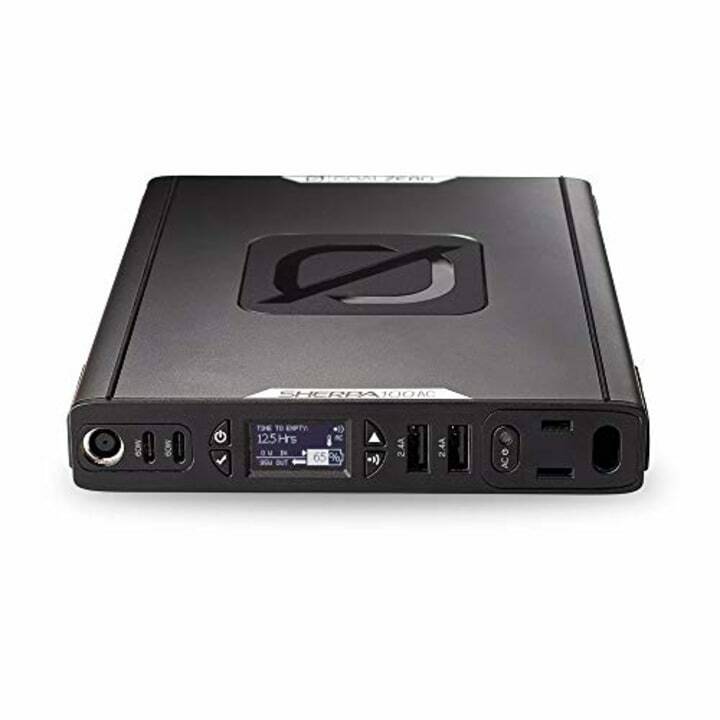 This portable power bank is designed to power items like laptops, tablets, DSLR cameras and phone while working on-the-go or traveling. It’s great because it is super lightweight (only weighs two pounds), is airline approved and can even wirelessly charge smartphones. It is also easily rechargeable via wall outlet or solar panel. The most stressful aspect of travel for me is not being connected, and hotel Wi-Fi can be expensive and unreliable. 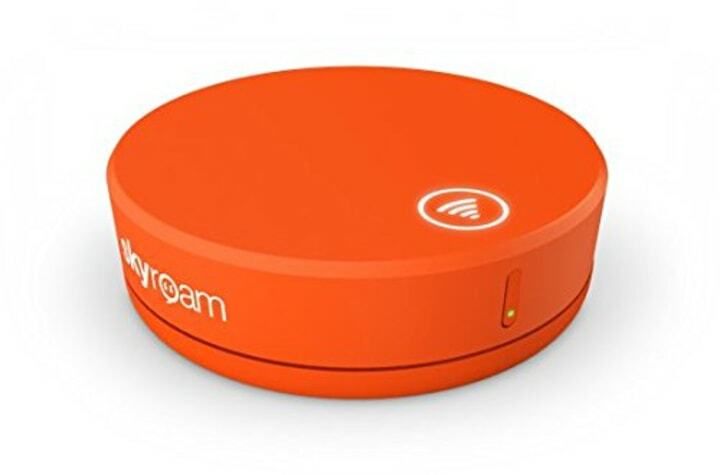 This super fast global hotspot has saved my day many times over, with an embedded power bank, 16+ hours of battery life, and the ability to connect multiple gadgets at once so I can stay on top of email as I go (but also, of course, Instagram!). Sleeping while traveling isn’t very easy for me, no matter how many years I’ve been at it. Whether it’s a transatlantic red-eye, or catching some shut eye on a long train or bus ride between cities, sometimes the best path toward sleep is blocking out your surroundings. Made with soothing satin and comfortable cuddle fleece, this lightly weighted sleep mask is cozy and breathable, making it a lot easier to get some rest even in the least conducive settings. Those credit card rewards American Express is using to entice customers seems to be paying off for now. American Express recently released its first-quarter earnings report, revealing its biggest-single expense was its card member rewards, which rose 4% from the same period last year to $2.45 billion. However, that helped boost customer spending 4% from a year ago. It also earned $2.01 per share (beating the $2 per share that Wall Street expected), while raking in $10.36 billion in revenue (it was short of the $10.49 billion that analysts expected, but almost 7% higher year over year). “It’s kind of a blessing and a curse for them, that they get more people to use the card, but they’ve got to pay more to incentivize you,” said Ted Rossman, industry analyst at CreditCards.com. Can the rewards last, though? 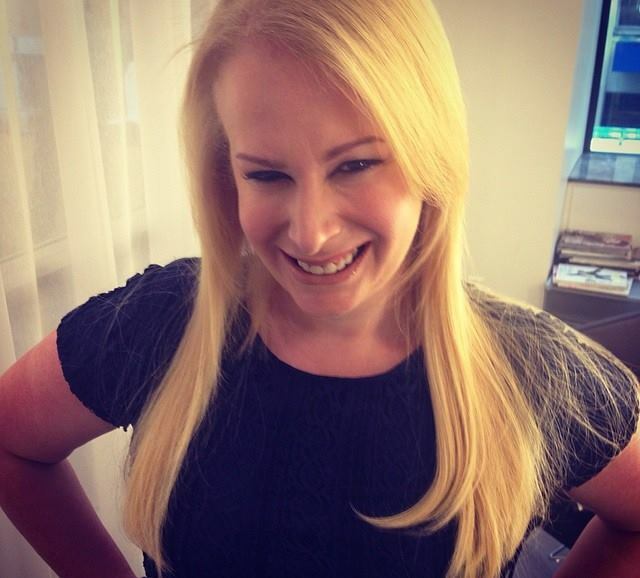 “I think it’s clear that there’s a huge demand among consumers to leverage credit card rewards as much as possible,” said Sarah Chenven, chief operating and strategy officer at Credit Builders Alliance. In the grand scheme of things, Rossman said he doesn’t think a 4% increase in rewards expenses is a big hit for the company. But he said there is a shift in the industry where credit card issuers are getting tired of the rewards arms race to attract new customers. The major credit card issuers had been ratcheting up the stakes over the past several years to the excitement of credit card customers. Chase released its Sapphire Reserve credit card back in 2016, which initially came with a 100,000-point sign-up bonus worth up to $1,500 in free travel (it’s now dropped to 50,000 points, equivalent to $750) and a $300 annual travel credit, among other perks. A worried American Express then changed up its Platinum Card, providing more membership rewards, while Bank of America also released its own premium card. Instead of those sign-up bonuses, Rossman said credit card companies are moving more toward providing dining rewards.